Can anyone have too much puppy in their life? At Venterra, we think not. We embrace our four-legged pals in a number of ways here. From our unending love for residents’ pups, to offering employees a chance to bring their canine friends into the office, to pet costume contests, an official Bark Park Inspector, and even one lucky dog who celebrated his birthday in true party-animal fashion complete with cupcakes, presents, and a surprise portrait, there’s definitely no shortage of puppy love across our portfolio! 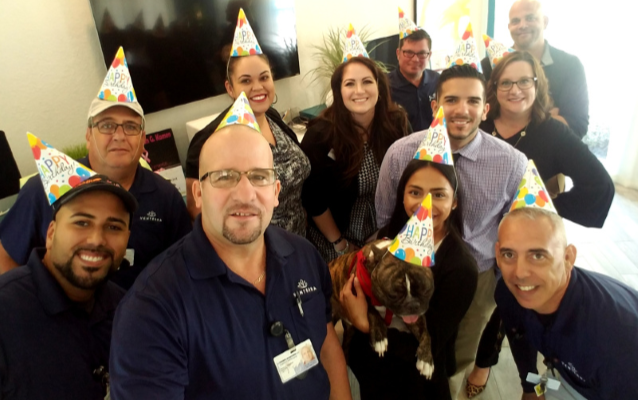 A day to celebrate all the things that make puppies the magical creatures that they are and to help encourage more pet adoption, National Puppy Day also happens to be a great excuse for us to reflect on some of our recent canine moments at Venterra. Check out all the adorable furry faces below! Are you celebrating National Puppy Day with your doggo(s) this year? Tell us how in the comments below!